In a short series ahead of the SMBC Singapore Open next January, we take a look at some of the great rounds over Sentosa Golf Club’s famed Serapong Course during past tournaments. 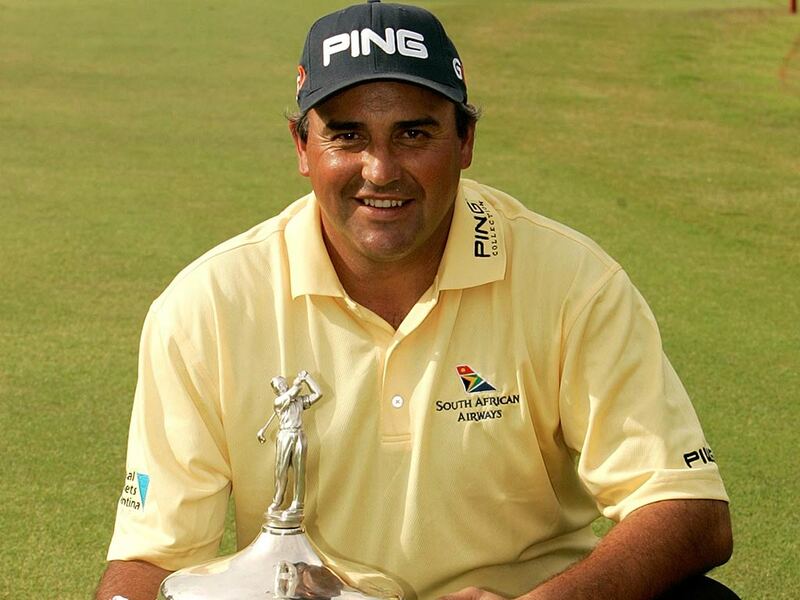 First up is Angel Cabrera’s second round 63 that paved the way for victory in the 2007 Singapore Open. Singapore, October 1: Then reigning US Open champion Angel Cabrera of Argentina suffered a major blow during the first round of the Singapore Open in 2007, when the head came off his driver. He limped home in level par 71, including a double bogey six at the third hole, and then deposited his driver with club repairers on site. They did a great job fixing the club and may have sprinkled some magic dust over it for good measure, as Cabrera roared to an eight-under-par 63 in his second round to top the leaderboard. 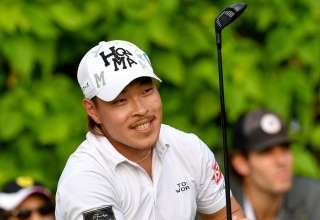 The big-hitting Argentine reeled in nine birdies against a lone bogey in soft conditions for a two-day total of eight-under-par 134 and a two-shot advantage over American Jin Park. “The shaft went off yesterday but they repaired it and it worked very well today,” said Cabrera with a degree of understatement. Starting at the 10th hole, Cabrera was quickly into his stride with back-to-back birdies. 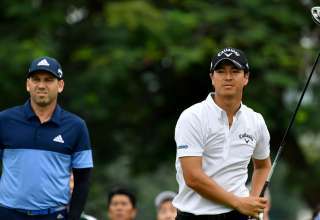 A bogey at the 13th slowed his progress but a second successive two at the par-three 17th and a birdie four at the 18th saw him reach the turn in three-under 32. Cabrera, with a reputation for bringing tough courses to their knees when in the zone, turned on the after burners during his back nine. He opened with a birdie at the first hole (his 10th) and then electrified the galleries with three birdies in a row from the third. A further birdie at the par-five seventh put the icing on the cake. Apart from soaring into the lead Cabrera had the personal satisfaction of outscoring playing partner Ernie Els, who had beaten him in the World Match Play Championship final the previous month, by a massive 14 shots. Els’ reaction to Cabrera’s round turned out to be prophetic. “He played beautifully. As bad as I played that’s how good he played. He was really on form and just never really missed a shot. With his length, when he hits it dead straight, he’s going to be awfully hard to catch this weekend. 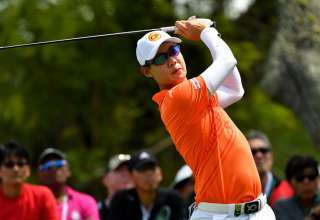 He’s playing beautifully,” said the then world number four, who was runner-up to Australia’s Adam Scott in the 2006 Singapore Open. Cabrera did not make any predictions and stuck to comments about his superb round. As Els said, Cabrera was hard to catch with rounds of 70 and 72 over the weekend being good enough for a one-shot victory over the hard-charging Vijay Singh, who carded a final-round 67. 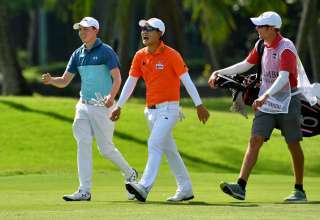 Cabrera needed a birdie at the final hole, his first gained shot of the day after a par-fest, to pip the Fijian, with defending champion Scott a further four shots behind in third place. “I am very, very happy to win the Singapore Open. It is a world class event with some of the best players in the world like Vijay (Singh), Ernie (Els), Adam (Scott) and Phil (Mickelson). It was an impressive line up and I’m very happy to have outplayed them to win the tournament,” said a relieved Cabrera, after the 17th victory of a storied career.